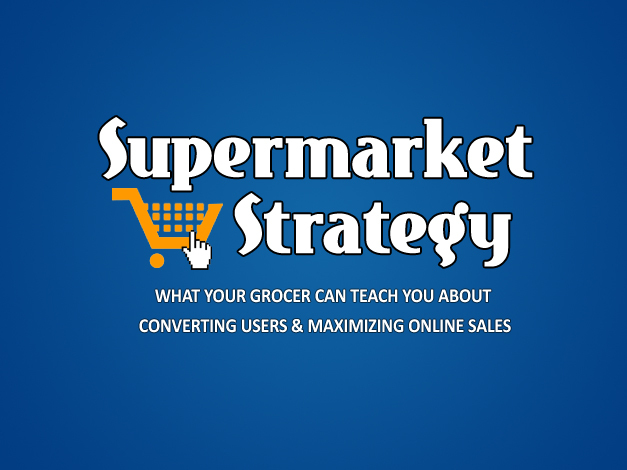 Supermarket Strategy is a guide to converting more users, increasing average order sizes and keeping customers coming back for more based on proven techniques and strategies used by supermarkets, retail stores and big box stores across the world. Imagine yourself walking into your local supermarket, on a quick stop for milk and bread. Somehow, you walk out with milk, bread, a couple magazines, a candy bar and a pound of ground beef. With the help of focused analytics, testing, research and these proven strategies, we can give visitors to our website the same experience; whether you’re trying to get users to fill out a small quote form or fill their shopping cart on your ecommerce site. Supermarket Strategy will be available for sale in Summer 2013.